These strawberry-flavored supplements are made from naturally-sourced ingredients, taste wonderful, and are the best way to give your body a daily lift. 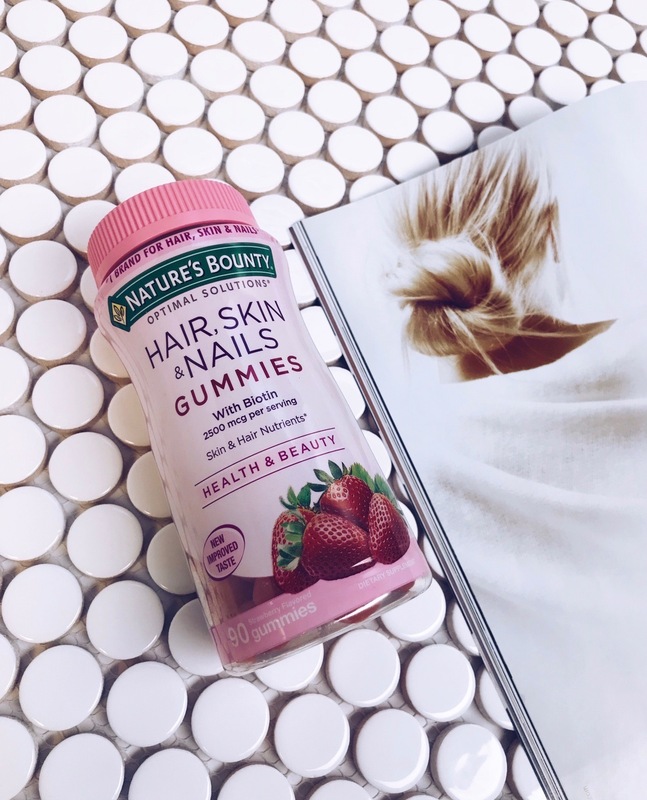 Nature's Bounty claims they are the #1 brand for hair, skin + nails, and here's why- these bad boys are packed with vitamin E, vitamin C, and biotin. news flash: Vitamin E + C give you that really good vibrant, glowing skin and biotin keeps you hair looking oh so fresh. Take 2 on the daily and never look back.